The American George Barnard Grant was born in Farmingdale, Gardiner, Maine, on 21 December, 1849, as the son of a Maine shipbuilder, descendant from families who came from Britain in 17th century. Grant attended Bridgton Academy in Maine, then studied for three terms at the Chandler Scientific School of Dartmouth College, and entered in 1869 the Lawrence Scientific School at Harvard, where he obtained his bachelor degree in engineering in 1873. While in Lawrence Scientific School, in 1869, Grant got interested in calculating machines while he was computing a table for excavations and embankments, but he soon became discouraged with his initial efforts when he realized the subject was more difficult than he had anticipated. In 1870, he heard for the Babbage's Differential Engine, later for Scheutz's Differential Engine, and proceeded to design one himself. The machine was finished as late as in 1876 and was exhibited with great success in 1876 USA Centennial Exposition in Philadelphia, along with a smaller general-purpose calculator (see Differential Engine of George Barnard Grant). Besides his Differential Engine, between 1872 and 1898, George Grant patented and manufactured in his company Grant Calculating Machine Company of Lexington, Massachusetts, several models calculating machines (see calculating machines of George Barnard Grant). Grant became famous, however, not for his remarkable mechanical calculators, but for establishing a business that was a derivative of his experimentation with calculators. Working on his calculating machines, he discovered that, to obtain gears of the accuracy required for his calculators, he had to cut his own gears. Soon after his graduation from Harvard in 1873, Grant established a gear-cutting machine shop in Charlestown, Massachusetts, and developed a successful machine for cutting gears using a device called a hob. When this business expanded, he moved the workshop to Boston, expanded it and named it the Grant Gear Works. From this extremely successful establishment evolved the Philadelphia Gear Works and the Cleveland Gear Works. George Grant even wrote several very successful books on the subject, for example A treatise on gear wheels; A handbook on the teeth of gears, their curves, properties and practical construction, etc. 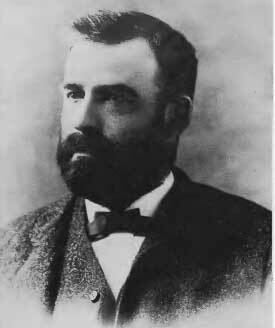 George Barnard Grant is considered one of the founders of gear-cutting industry in USA. In 1900s Grant settled in California and paid attention to his hobby—botany, especially collection of preserved plants (there are even several flowers called after him—Trifolium grantianum, Ribes grantii, Saltugilia splendens), creating a big private herbarium. George Barnard Grant died on August 16, 1917, in Pasadena, California.